Offering you a complete choice of products which include soda bicarb powder. Baking soda is a base mineral, which, when combined with something acidic, produces carbon dioxide. Offering you a complete choice of products which include Soda Bicarb Powder. 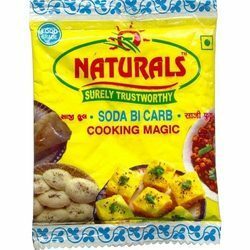 Pooja Traders is one of leading Baking soda/Soda Bi Carb Powder Suppliers in India. The name “citric acid” is also used on ingredient lists when it is used as a food additive. It is also great cleaning agent and used in different ways as in shampoos, skin care, and photography. Baking soda is much uncomplicated; in fact, it only contains one ingredient, and sodium bicarbonate. Packaging Details: as per the requirement. Looking for Soda Bi Carb ?